Grew up with CB Santfeliuenc (Spain) youth teams. Moved to FC Barcelona juniors in 1996-97. 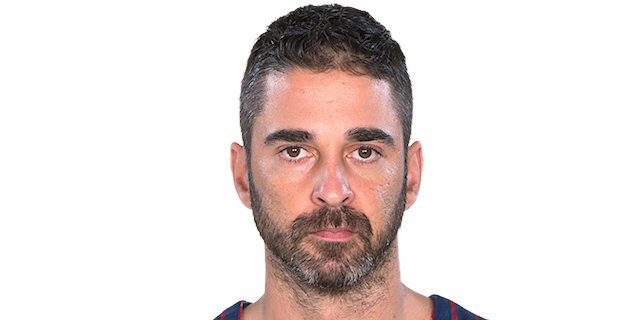 Made his debut during the 1997-98 season with FC Barcelona B, EBA, also playing some games in the ACB. Played with both teams also during the 1998-99 championship. Started playing just with the ACB team in the 1999-00 season. Signed for the 2007-08 season by Memphis Grizzlies. Back to Spain for the 2008-09 season, signed by FC Barcelona. Won the 2003 and 2010 EuroLeague with FC Barcelona. Named the 2008-09 EuroLeague MVP. Named the 2010 EuroLeague Final Four MVP. Named to the 2005-06, 2006-07, 2008-09, 2009-10 and 2010-11 All-EuroLeague 1st Team. Named to the 2011-12 and 2012-13 All-EuroLeague Second Team. Named the 2005-06 EuroLeague January MVP. Named the 2009-10 EuroLeague April MVP. Named the 2010-11 EuroLeague January MVP. Named the 2006-07 EuroLeague Week-3 and 21 MVP. Led the 2012-13 EuroLeague in 3-pointers made (65). Won the gold medal at the 2009 and 2011 European Championship. Won the bronze medal at the 2001 and 2017 European Championship. Named the 2011 European Championship MVP. Won the 1998-99, 2000-01, 2002-03, 2003-04, 2008-09, 2010-11, 2011-12 and 2013-14 Spanish National Championship with FC Barcelona. Won the 2001, 2003, 2007, 2010, 2011, 2013 and 2018 Spanish National Cup with FC Barcelona. Won the 2004, 2009, 2010, 2011, 2015 and 2018 Spanish Super Cup with FC Barcelona. Named the 2008 and 2011 Spanish League Finals MVP. Named the 2010 and 2011 Spanish Super Cup MVP. Played the 1999, 2001, 2002 and 2003 Spanish All Star Game. Won the gold medal at the 1999 World Championship. Named the 1999 World U-18 Championship MVP. Named to the 1999 World U-18 Championship All-Tournament 1st Team. Named to the 2005 All-European Championship 1st Team.